Lifepoint Informatics is the trusted leader in healthcare information technology, advancing value-based health care with uncomplicated clinical integration, health information exchange, and data interoperability solutions for hospitals, health systems, clinical laboratories, diagnostic imaging, health insurers and accountable care organizations. 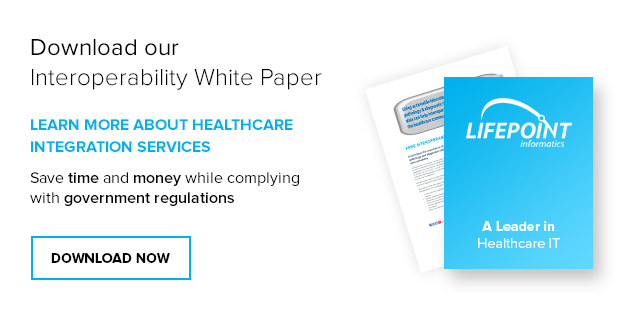 Built on a unified workflow platform, our solutions interoperate seamlessly across multiple modalities, application layers, and end-user devices. Lifepoint customers love our clear, user friendly data integration solutions that facilitate health information exchange, enable successful outreach connectivity, EMR integration, EHR interfacing, physician portal, population health management, and quality reporting among disparate clinical systems. Access longitudinal lab and diagnostic data for safe, appropriate and effective care with lasting results, at a reasonable cost. Lifepoint Informatics is the trusted leader in healthcare information technology, advancing value-based healthcare with uncomplicated clinical integration, health information exchange, and data interoperability solutions for hospitals, health systems, clinical laboratories, diagnostic imaging, health insurers and accountable care organizations. Built on a unified workflow platform, our solutions interoperate seamlessly across multiple modalities, application layers, and end-user devices. 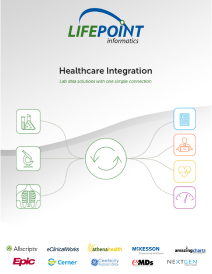 Lifepoint customers love our clear, user friendly data integration solutions that facilitate health information exchange, enable successful outreach connectivity, EMR integration, EHR interfacing, physician portal, population health management, and quality reporting among disparate clinical systems.